During his campaign, this was Donald Trump’s pitch to African-American voters: “You’re living in poverty, your schools are no good, you have no jobs.” He never acknowledged the people behind his dour, often made-up statistics about unemployment and crime,reducing black lives to pitiable caricatures. Trump presented African-Americans as so destitute of hope they had nothing to lose by voting for a lying racist endorsed by white supremacists. After a presidential campaign where diverse groups were strategically downsized to hurtful stereotypes — Mexican immigrants as criminals or Muslims as terrorists — “Moonlight,” a quiet ode to self-definition, is a reminder not to internalize what others say or believe about you. Written and directed by Barry Jenkins, the film also champions empathy for those whose lives are set apart, whether through race, class, or sexual orientation. 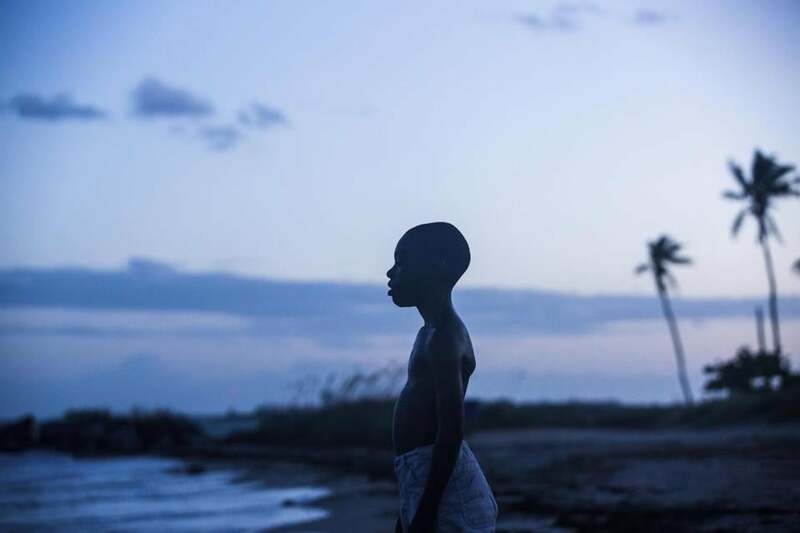 In Miami’s crime-scarred Liberty City neighborhood, the film shows Chiron, as a boy, a teenager, and a young man, struggling to balance his community’s expectations of black masculinity with his attraction to men. Jenkins resists stereotypes, especially in how black gay men are often portrayed in films and on television. Chiron is not a saucy, finger-snapping diva armed with piquant one-liners. He is bullied and pelted with antigay slurs at school because he’s considered soft. He’s the only child of a crack-addicted mother, living in a place with a dearth of male role models. Juan (beautifully played by Mahershala Ali) is a drug dealer; he is also a man with the capacity to look out for a kid on the edge who might otherwise fall between the cracks in a neighborhood full of them. For some viewers, the adult Chiron (played by Trevante Rhodes) might evoke Omar Little, the “Farmer in the Dell”-whistling, Honey Nut Cheerios-loving gay killer from HBO’s “The Wire.” It’s a reductive comparison: Omar understands exactly who he is and where he belongs. Even as an adult, Chiron struggles to reconcile being black and gay. After two years of #oscarssowhite, 2016 has offered a bumper crop of serious films with African-Americans in major roles in front of and behind the camera. There’s “Fences,” starring Denzel Washington, who also directs, and Viola Davis in an adaptation of the late August Wilson’s Pulitzer Prize-winning play. “Loving” stars Ruth Negga and Joel Edgerton as Mildred and Richard Loving, the couple whose once-illegal relationship led to a 1967 Supreme Court ruling that discarded laws prohibiting interracial marriage. Taraji P. Henson, Octavia Spencer, and Janelle Monae (who makes her film debut in “Moonlight”) feature in “Hidden Figures,” based on the true story of three African-American women whose mathematical data played an integral role in NASA’s space race. “Moonlight,” an independent film without big stars, arrived with little fanfare in October, building an audience through rapturous reviews and enthusiastic word of mouth. What no one could predict was how the film’s sympathetic portrayal of characters rarely seen onscreen would blossom into a much-needed meditation on diversity, inclusion, and how its absence can lead to ruin. An elliptical sonata of small, evocative gestures, “Moonlight” speaks to the outsider in us all. Whatever our differences, there will always be a human need to find connection, not just in society, but also within ourselves.